SOLD 12102 103 Street – 6 Beds on Corner Lot. SOLD IN 16 DAYS. Looking to sell your home? There's someone out there who wants to buy it. And with our relentless marketing campaign for your sale, we'll get them to you faster than the competition. 12102 103 Street - 6 Beds on Corner Lot. 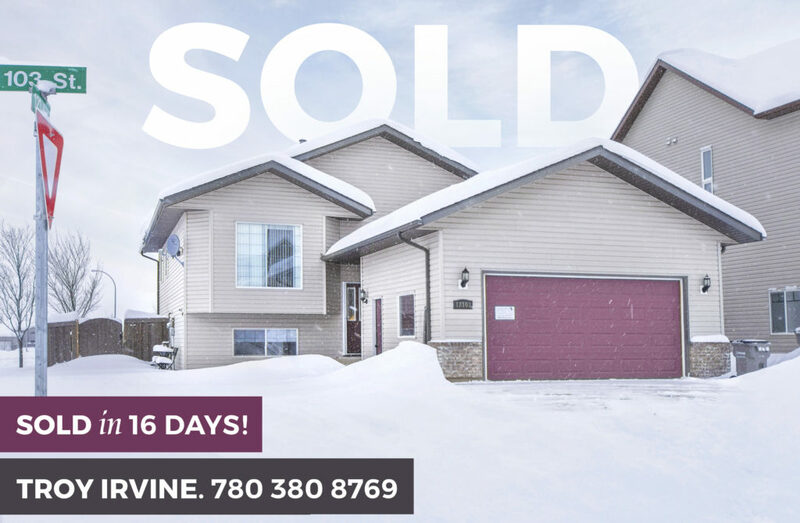 Call or text 780 380 8769 (that's 380 TROY) and let's get you that SOLD sign! ← GREAT VALUE – 4 Br Home in Trumpeter Village.